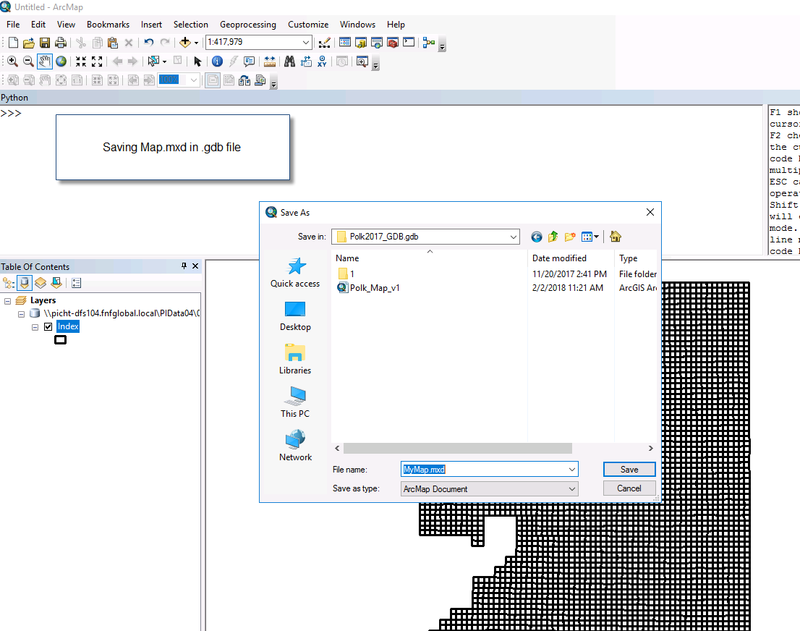 I have File Geodatabases that I created in ArcCatalog and ArcMap 10.5. I am trying to open maps in ArcGIS Pro from these File Geodatabases, but when using the "import Map" tool only folders show up, and no Geodatabases. If I use the "+Connections >> Add Database >> Select Existing Geodatabase" tool my file Geodatabases show up and I can connect to them, but none of the .mxd files are shown, only feature classes, toolboxes, python scripts, and .csv's. 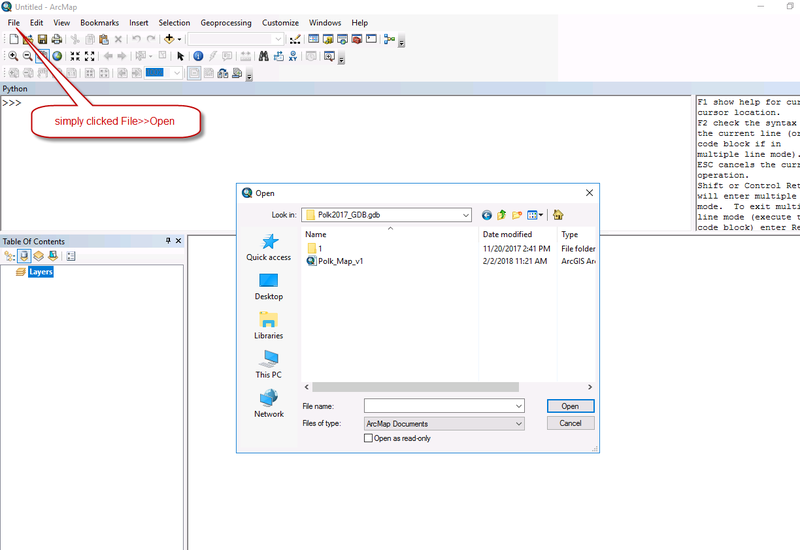 How do I connect to a .mxd file within a file Geodatabase in ArcGIS Pro? From your picture it appears that you have saved an MXD file into the same Windows folder that contains the files making up your file geodatabase. I think that is an unwise practice. From your comment it appears that moving the MXD file out of the file geodatabase's folder has resolved this for you. Not the answer you're looking for? Browse other questions tagged file-geodatabase arcgis-pro mxd or ask your own question.